With more than 10,000 jobs successfully completed, the residential roofing contractor that homeowners throughout the Maryville, Illinois area count on for quality and dependability is Daech & Bauer Roofing. Our business has been built on the understanding that the customer’s needs come first, and we are proud that our commitment to service helped us earn recognition as a Top 100 Roofing Contractor in the U.S. by Roofing Contractor magazine. Additionally, we back our work with some of the best warranties in the residential roofing industry, including a five-year guarantee on labor. We also provide an “apples to apples” price guarantee, which promises that we will match any local competitor that offers the same products and work for a lower price. 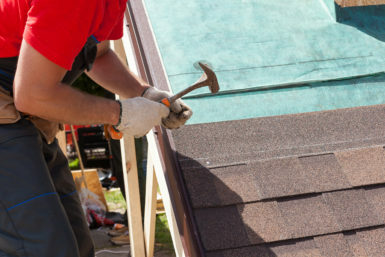 Contact Daech & Bauer Roofing today and let our experienced technicians tend to all of your residential roofing needs. Be sure to ask about the financing plans we have available for homeowners in the Maryville, IL area who qualify.